Student Success Coaching is a tool-based program. Each Coach is trained and certified in a set of 3D Tools, developed by Carlette Patterson. The 3D Tools have been adapted to the academic world and create a common and unique language between students and coaches. When meeting with a student, Student Success Coaches use the 3D Tools to assist their student succeed academically, personally and philanthropically. The 3D Tools train the students in the following three-diminutions of their life: success- academically, significance- personally and service- philanthropically. The fundamentals of the 3D Tools are time, energy and emotional management. Student Success Coaching is unique in that it encourages students to not only identify their Performance Barriers, but also take action to overcome them! Through the use of the 3D Tools, coaches work with students to develop “action plans” to take away after their meeting. Just like in the athletic world, when you are being coached, you have to do the work and practice to succeed. We encourage our students to work to overcome their Performance Barriers, all the while knowing that they have a coach on their side to support them! Through the training in the 3D Tools, Student Success Coaches are equipped with a tool-kit that allows them to personalize each coaching session to their student's needs. In this model, coaching sessions are student driven and based on the needs of the student at the time of the meeting. Meetings are always relevant to a student's personal and academic goals. It is this factor that drives students to continue meeting with their coach, and grow overall! It is very well-known that in order for students to be successful in college, they must have a team supporting them! This team can be comprised of friends, family, coaches, and campus resources! One of the biggest roles that our coaches play is that of a connector. We train all Student Success Coaches to be knowledgeable about the many resources that their university has to offer and how to determine which resources is best for their student. When a student comes to a coach needing support, our coaches know exactly who to refer them to in order to grow their team! 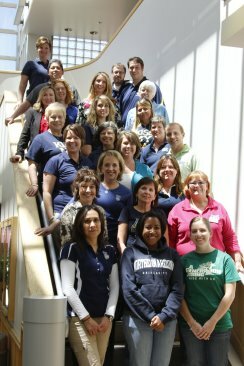 What has been the most rewarding part of being on the Student Success coaching team? Watching my students use the problem solving 3D Tools to find Winning. 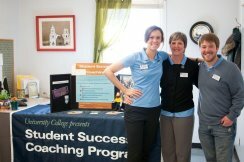 Student Success Coaches "Call Their Life Plays"